Both you and Tamsyn are just the most wonderful people, you were more than just our photographer and makeup artists. You felt like family. Family who would ensure our day was captured in the most spellbinding way! Your professionalism, kindness and thoughtfulness to every detail in all aspects of your work is beyond anything we could’ve hoped for! I can not express how amazing you both were and anyone who chooses you to capture their most precious moments are the luckiest people in the world! We felt so honoured that you both could be there with us ensuring that the memories of that day are there for us to cherish forever! 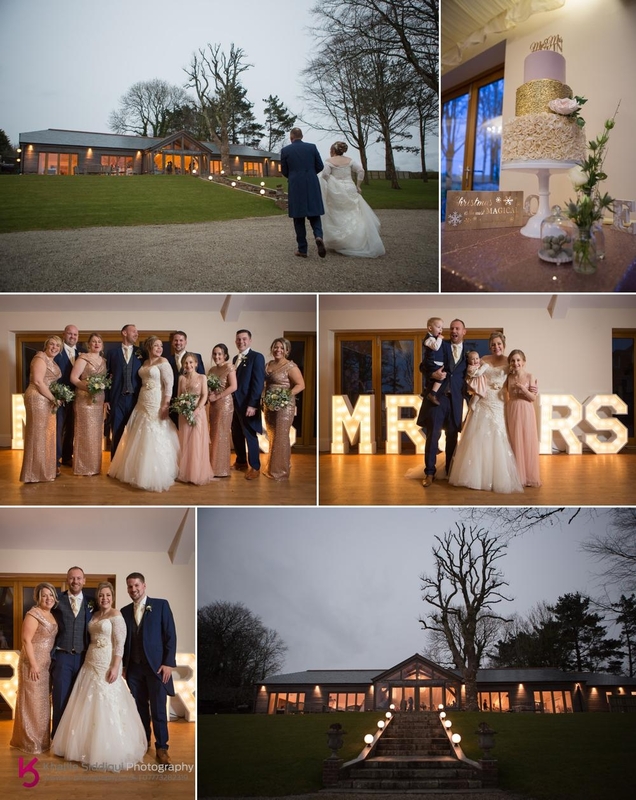 When Rachael and Ian came to us about wedding photography and doing the makeup for their wedding day a year and a half ago, little did I know that it was going to be possibly the hardest wedding I've ever had to photograph. All was as you might expect when they arrived for our first pre wedding meeting, inquisitive excitement, but I think they were probably pretty much sold before they arrived, as Ian had been the best man at a wedding we shot a few years back (which is still the luckiest wedding weather wise we've ever shot), and for this wedding both Jenna and Andrew the bride and groom from the previous wedding were best man and matron-of-honour. 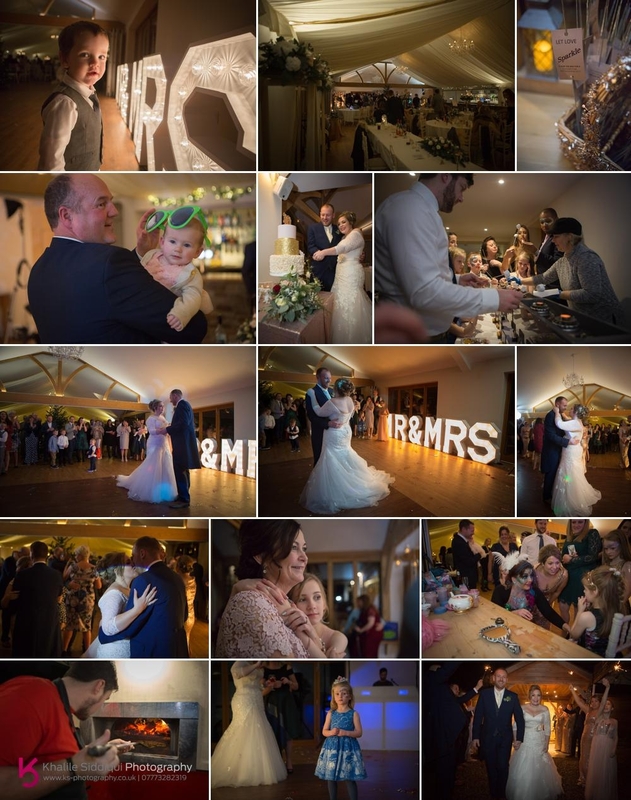 So I was so excited to have been asked back to catch up with old friends, but when we had the final pre-wedding meeting Rachael filled me in on what had been going on with them this year which started so well with the birth of their third child. But within the last six months this poor family has had three bereavements one of which being Ian's mother and then Rachael had been taken very ill and was hospitalised three times in the final weeks right on the run up to the wedding. To say I was really shocked would have been a complete understatement. I've never known a family to have had such a rough time. During the meeting I was lucky enough to have travelled between venues with Rachaels mother Jane, she filled me in a bit more, to which I explained that I was feeling a bit bewildered and that normally when I go to a wedding I'm the picture of positivity and wasn't sure how I was supposed to conduct myself, she said that my positive demeanour was exactly what they wanted, so I was determined to bend over backwards to make sure that this was going to be one of the best days in their lives! My day started with meeting the boys or at least some of them at Lanhydrock house. Unfortunately the rest of them were held up so I only had Ian, his Dad Bill and Andrew the best man to play with. I only had half an hour with the boys before I had to head off to Rachael and the girls getting ready. Now I'll be honest here, when Rachael told me that she was getting married at Tredudwell Manor I got a bit excited as I'd never been there before, so when I travelled to Tredudwell to have a look around before the wedding day I was a little disappointed when Rachael explained to me that she wasn't getting ready at Tredudwell as her parents home was a lot closer to Landydrock church and so would be getting ready there. I needn't have worried, when I got to Jane and Gary's home it was beautiful, a hive of activity but beautiful. 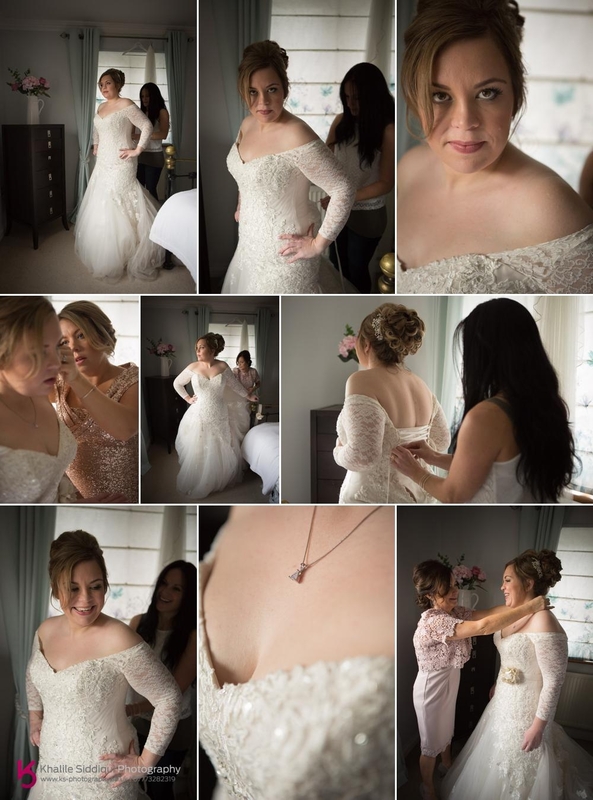 My wife and second photographer 'Tamsyn Siddiqui' was there already doing the girls makeup and Rachael had booked the talented 'Lisa Gadsby' to do the girls hair. 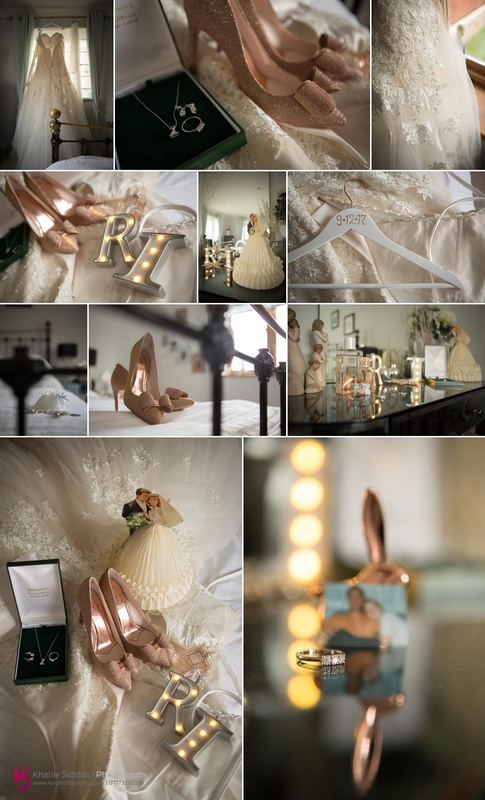 So while that was going on I went upstairs to photograph the dress and details. 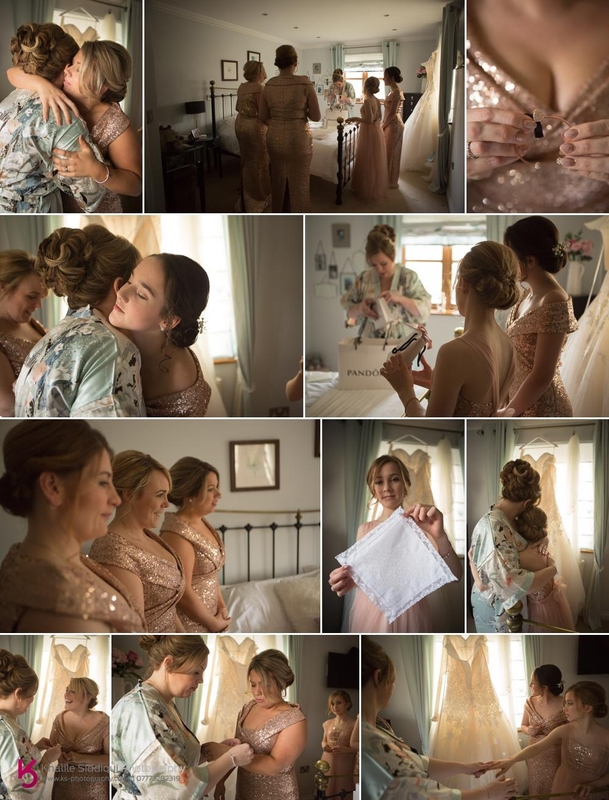 Rachael pointed out that she had a few little hidden details to involved Ians mother in the day, such as the paper bridal belle that was given to Ians mother on her own wedding day. 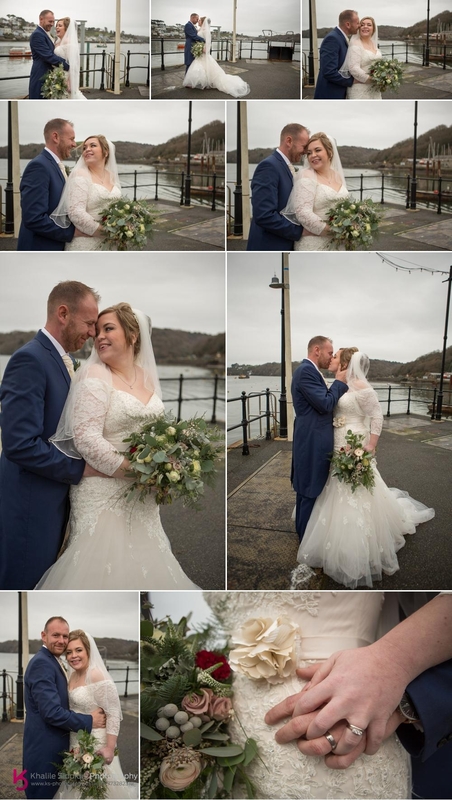 The broach on her bridal bouquet as well as the single red rose with the bunch, and she also had Ian's mothers engagement ring laced into her stunning 'Sophia Tolli' bridal gown. This was done by the lovely seamstress from 'The Bridal House Of Cornwall' who had supplied the dress and modified the gown quite a bit. When I first walked into Jane and Gary's bedroom where Rachael was going to be getting ready I couldn't believe my luck, the room looked like and film set and the light in there was just exquisite. Rachaels dad Gary like the rest of the gents wore a blue Ted Baker tailed suit, and certainly looked the part when he entered the room to see his little girl for the first time in her bridal outfit. 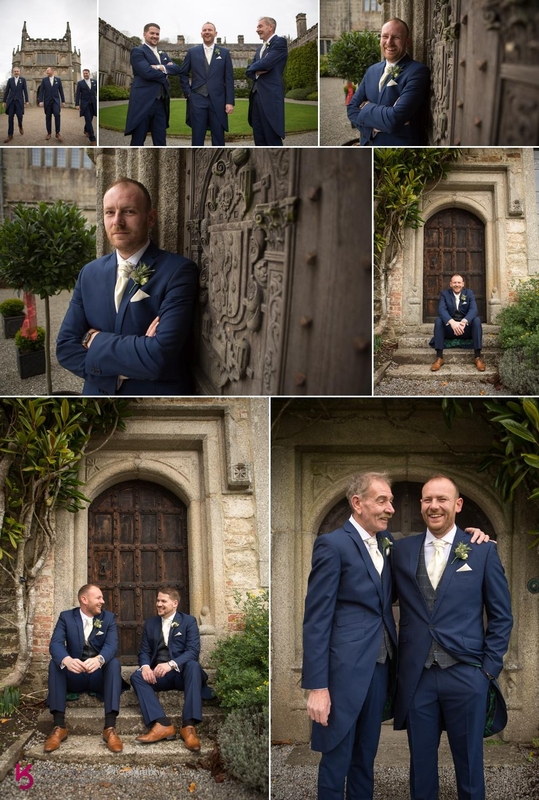 And before we knew it, it was time to head off to Lanhydrock church where Ian was patiently waiting with the seventy adult and THIRTY child guests. 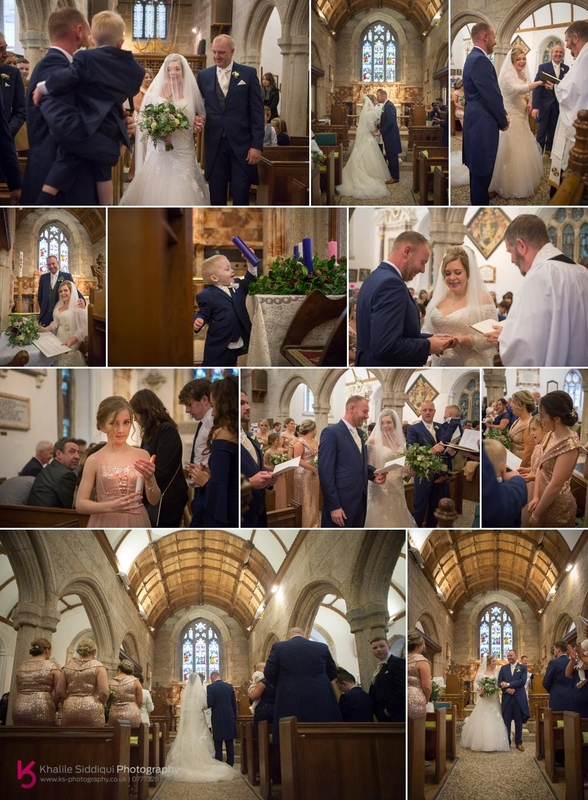 This was always going to be an emotional ceremony, but no one was expecting the howling tears coming from Rachael and Ians son when Rachael arrived down the aisle, but after receiving a reassuring cuddle from Grandad Gary he soon settled for what was a beautiful service. After the ceremony we went down to the lawns of Lanhydrock House for the group photos. It was a still day, but VERY cold, and poor Rachael went rapidly downhill whilst we were taking the photos, which made me quite concerned so we had to cut the photos short and head south on the half an hour drive to Tredudwell. On the way we took a de-tour as Rachael was really keen to get some scenic shots near the water, and as the tide was out we played it safe and drove on to Polruan for the photos. As we drove to the village I was followed by Rachael and Ian in the Rolls Royce Phantom supplied by 'South West Phantom Hire'. 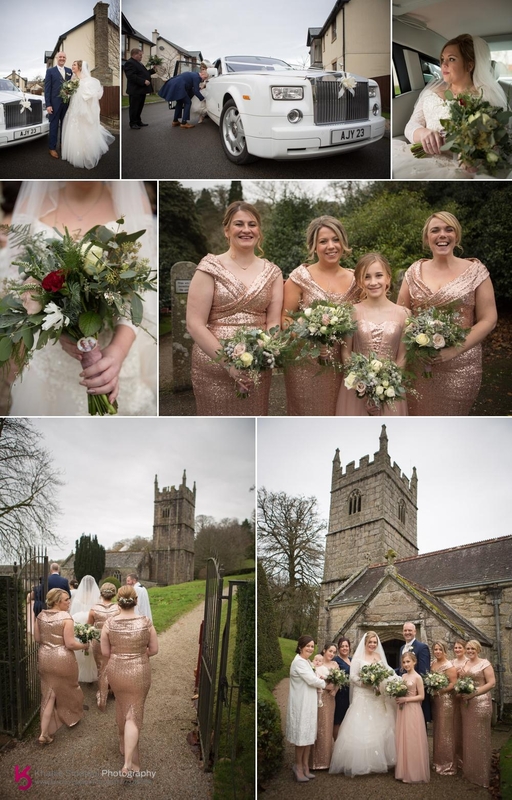 As we went down through the village the roads got narrower and narrower and we very nearly got the Rolls stuck down by the quayside as its such a massive car with not the tightest turning circle, but majestic none the less. On arrival to Tredudwell we briefly went inside the house to get some photos in a spot Rachael loved, and also so she could have a little sustenance supplied by 'Wood Fired Weddings' who were doing the catering for the wedding breakfast, before heading over to join the guests in the purpose built reception barn. On arrival I got a few detail shots including the 'Suzi Humphreys' wedding cake, before doing what was left of the group photos (In the warm). 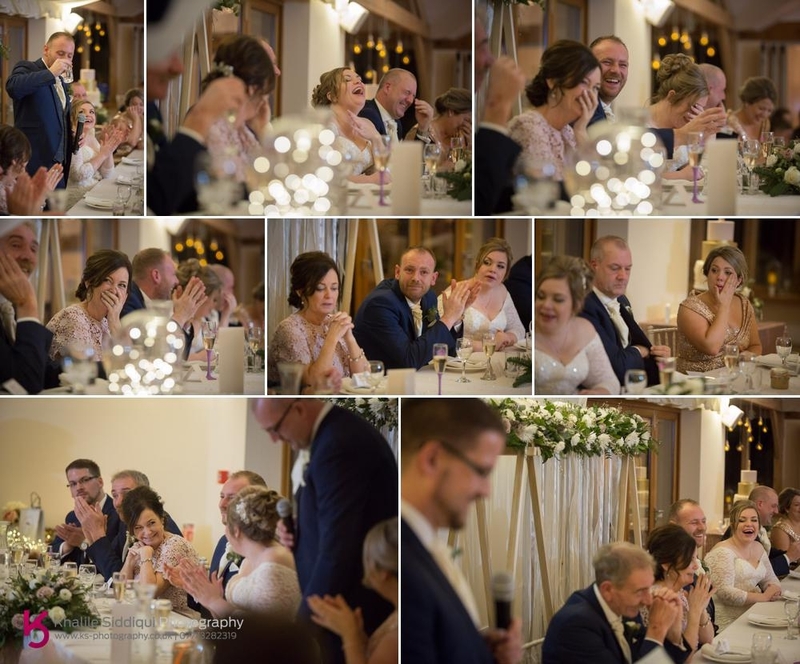 With so much emotion throughout the day Rachael and Ian decided to do the speeches at the beginning of the wedding breakfast. I have to say I didn't envy those gents having to give those speeches, especially poor Andrew the best man. You'd expect the father of the bride speech and grooms speeches to be very emotional so how was poor Andrew suppose to follow that? I'll tell you, MAGNIFICENTLY. Andrew managed to bring not just tears of sorry but also laughter, well done buddy, that was top flight performance. In the evening as well as the DJ (DJ's in Cornwall) there were no end of things going on. With Pizzas supplied by 'Kernow Forno', a Smore's bar which I'd not heard of before, but is a kind of desert with toasted marshmallows and other fillings, inside a biscuit sandwich supplied by 'Proper Job Parties', there was also sparkly face painting supplied by 'Doll Face', a DIY photo booth as well as a bit of sparkler fun. Dearest Rachael and Ian, I felt really moved going through these photos with a moistness coming to my eyes on more than one occasion. 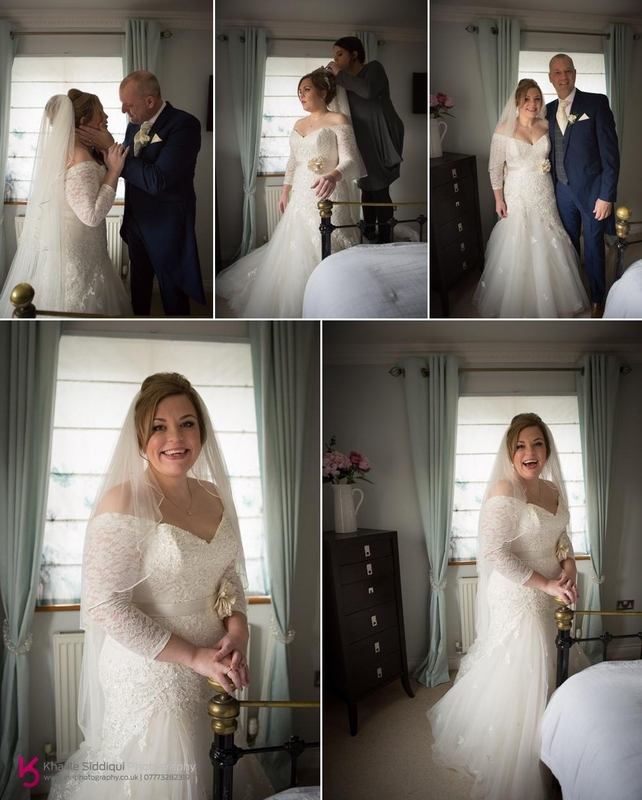 It truly was an honour to have been able to be there for you both, and I sincerely hope that this amazing day is the turning point for you and your families to embark onto happier times, and that these photos bring you many years of happy memories. 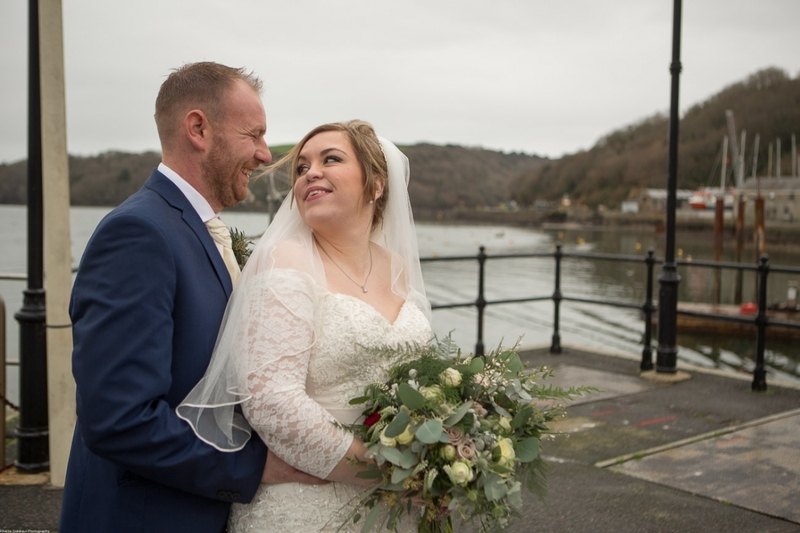 * If you're planning your own wedding, be it near or far, please do check out our weddings page to see loads of helpful info and make an enquiry. 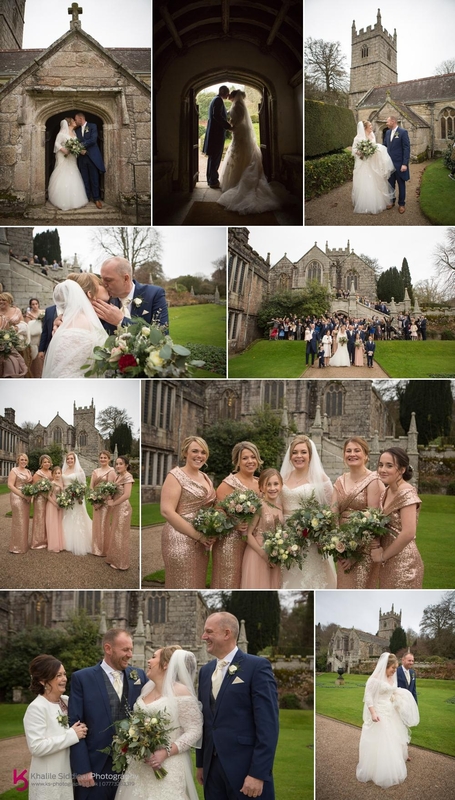 This Tredudwell Manor and Lanhydrock church wedding was probably one of the hardest weddings we've shot for reasons you wouldn't wish on anybody.